The Panda algorithm was first introduced to help Google improve the quality of search results. Google’s objectives is returning the most relevant or best answer to an entered query. Panda did this by down-ranking low quality content. To help achieve that, Google assigned a quality score to each website in its index. The score is site-wide and not based on specific or individual page’s quality. Panda operated as a filter on a group of search results considered relevant to the search query entered by your potential customer. The Panda score re-ordered them, giving a boost to the highest scored content, pushing down the lowest scorers. More recently, Panda signals have been “baked” into Google’s core ranking algorithm. They no longer re-order the results but act on them together with Google’s other ranking signals. How does Google Panda identify high-quality content? Panda is an algorithm that checks your website for content & technical factors. These are features, in Google’s opinion, of a high quality website. Applying some math, it allocates a specific quality score based on the results of this check to the site as a whole. The bad news! Google never discloses the exact factors of over 500 it takes into account to calculate the score. Based on what Google has said on site quality, the list below can only be an educated guess based on what known factors it can use to determine it. But, the good news is, if your site’s quality score is based on known factors you can take steps to influence these to improve the score. Unsurprisingly, the first step in completing a content audit is to…find all your content. 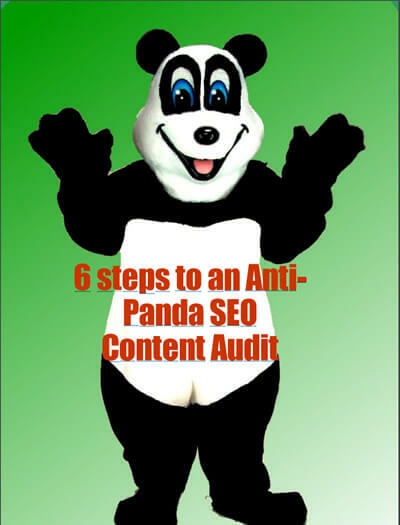 And since the Panda score is assigned site-wide, it is not enough to audit just the most important pages — you need to check your entire site to make sure no low quality content is dragging your overall website quality score down. Imagine you have a category page with only a few lines of meaningless text and hundreds of links to products. This is what’s generally called thin content. Another factor that could be a signal of your site’s low quality is duplicated or very similar content across multiple pages. What’s also synonymous with quality in Google’s eyes is the “uniqueness” of your content. As Google wants your content to add value and not simply repeat what’s already been said, having non-unique content on your website (e.g. plagiarized content, product descriptions, duplicated in feeds used on other channels like Amazon, shopping comparison sites and eBay) is an easy way to get under Google’s Panda filter. Keywords and keyword targeting are the most basic and longest-running concepts in SEO. And if you’ve been in the search industry for quite some time, you may remember the days when SEO meant just having the right words in your meta keywords tag. These times passed some time ago: search engines now try to detect and punish websites deliberately using too many keywords in their content. Though Google generally states that user experience signals are not included into their search ranking algorithm, real-life experiments show the opposite. And one of the metrics SEOs suspect Google to use is bounce rates. Site-Wide Audit – A Daunting Task! The above would be a daunting and time-consuming task if carried out manually. Luckily SEO’s and SEO companies have technologies and applications that automate the process. They analyse, identify and provide the help needed to complete a detailed audit. One application able to achieve a full site audit addressing the steps outlined above is Website Auditor. 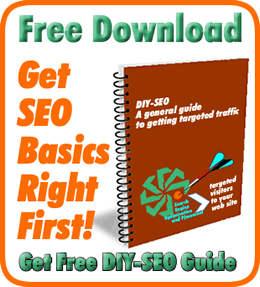 It is one part of the SEO PowerSuite range of applications. WebSite Auditor quickly reveals every issue on your site affecting search engine indexation, rankings, the user experience: broken links and images, duplicate content, poor mobile usability, redirect chains, internal linking problems, heavy pages and scripts, W3C validation errors, thin content, and more. For every error you find, you’ll get a list of pages affected along with specific, step-by-step how-to-fix instructions. Website Auditor offers free and paid options. The only limitation of the free version is pages are limited to 500 in total. Larger sites would require the Pro version. For many the DIY route will see some valuable improvements. However, there is more to SEO and optimisation than simply feeding the panda that contributes to a successful and profitable website. It’s “horses for courses” and Panda is only one of over 500 factors to consider. There has been numerous algorithm updates over the years: Hummingbird, Payday, Penguin, Possum, “Mobilegeddon”, RankBrain, various Pandas and many more not named. There has been four already this year in 2017, three unnamed with the last one, in early March, unofficially named Fred! Webmedia has been helping small & medium-sized companies keep-up-to-date with past, current and future updates that affect the continuing success of their websites and other digital assets.